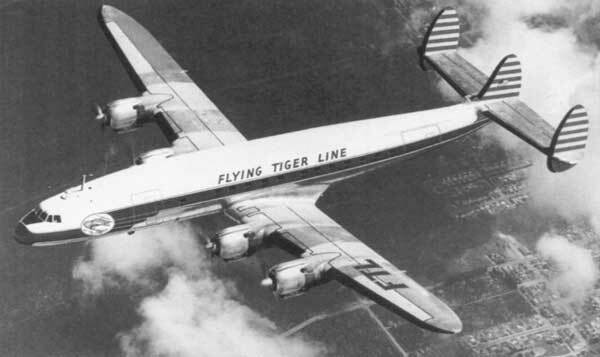 The Flying Tiger Line Inc. was named after the Flying Tiger fighter unit of WWII and headquartered in Los Angeles, California. The airline was principally a cargo line but also contracted out to the US Military to transport passengers. The company had a base in Gander during the early 1950’s but later contracted out their operations to a private service operator at Gander airport. On September 23, 1962 Flying Tiger flight 923 (N6923C), a L1049H, departed McGuire AFB in New Jersey, USA with 76 persons on board. The passengers were US military personal and their families bound for Frankfurt Germany with a refueling stop in Gander. Sometime after departure from Gander the aircraft encountered mechanical problems which led to the failure of two of it’s engines. The aircraft had passed its PNR (Point of No Return) and proceeded on in hopes to reach Ireland. Some 500 NM west of Ireland the airline could no longer maintain flight and ditched into the North Atlantic during the dead of night. 48 people on board survived the ordeal. There was some controversy later when it was disclosed that not all of the required life rafts were on board. Details of the accident report in more detail. An excellent website dedicated to the memory of this aviation disaster where you can read the personal experiences of those who survived and more in depth information about the crash itself, is available for your reading. We highly recommend this website.